There are all kinds of uses for ultraviolet lights. They are used to sterilize hospitals and water, used in food establishment and even for curing nail polish faster. But did you know UV light can improve the indoor air quality of your home through your HVAC system? UV light kills germs and can help eliminate many types of fungi, bacteria, viruses and pathogens. UV lights are installed within the air handler and remain on around the clock. 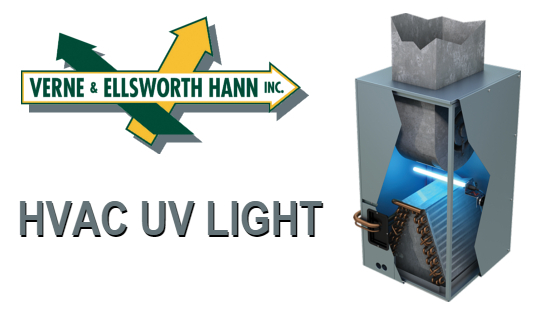 An HVAC UV light is effective at controlling mold inside the air handler keeping the coil mold-free. An additional benefit of a UV light is not only preventing build up on your HVAC systems coil, but also your ducts. This will improve airflow and energy efficiency, as well as eliminate the need for regular duct cleaning. There are several factors that can affect the effectiveness of the UV lights installed in your A/C system, such as the intensity, number, placement and direction of UV lamps. The temperature and humidity levels in your home will also have an impact. UV lights for HVAC systems come in a variety shapes and sizes, and with different power ratings. Some may offer more features than others. They are not necessarily “one size fits all.” Call the air quality experts at Verne & Ellsworth Hann to access your individual needs. Verne & Ellsworth Hann, located in Cleveland Heights, has been a leader in heating, cooling, plumbing and air quality for over 63 years. 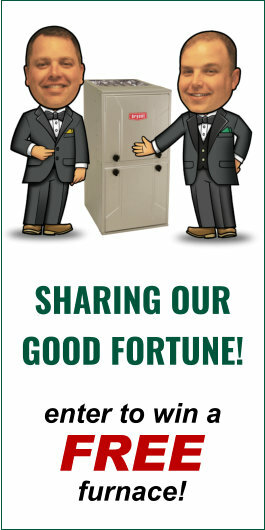 Owned and operated by brothers Bill and Chris Hann, Verne & Ellsworth Hann is a 5-generation company and the ONLY Hann family owned HVAC company in Cleveland.